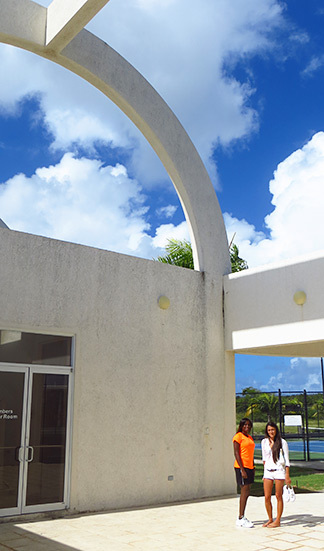 Open to locals and visitors alike, the Anguilla Tennis Academy offers a top-class facility for tennis enthusiasts, and those simply seeking things to do, on their trip to Anguilla. 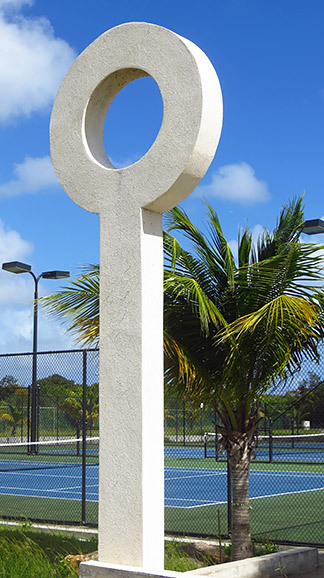 The Anguilla Tennis Academy was founded in 1996 by Mitch Lake, an active member of the community here in Anguilla. 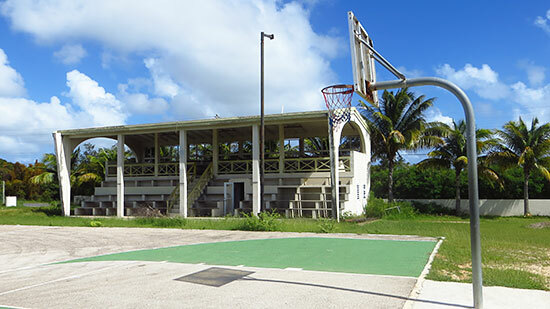 It has grown significantly over the years, now having a profound impact on the island's youth. 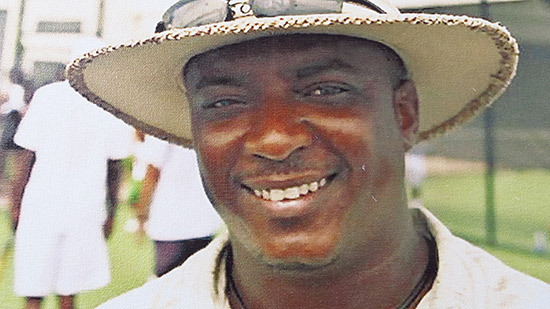 A man we know personally, a good family friend, Mitch is an incredibly devoted person who goes the extra mile for the youth of Anguilla who show exceptional skills and motivation, people with the potential to do incredible things. In short, he is inspiring. 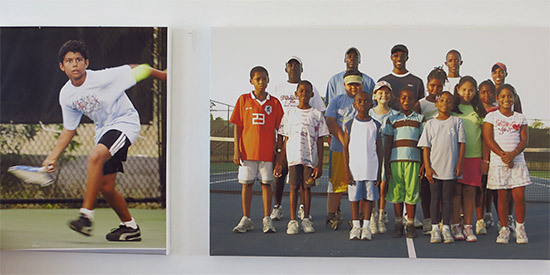 Mitch's mission, when starting the Anguilla Tennis Academy, was to foster community ties by teaching youth all of the positive skills and values that come with learning a sport. Since its inception, the school's impact has gone above and beyond. 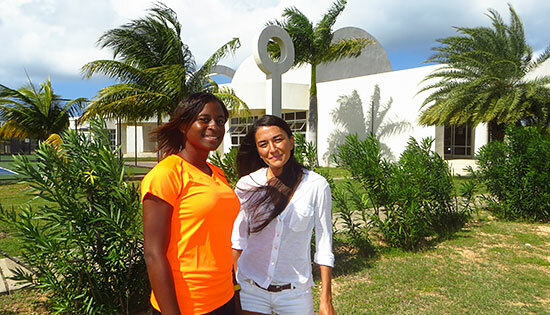 Regular tennis players here in Anguilla have been able to secure tennis scholarships to universities on account of the Anguilla Tennis Academy. The Academy really does change lives. 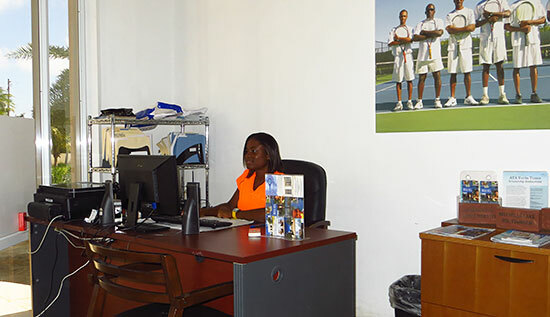 Who is else works hard behind the scenes at the Anguilla Tennis Academy? Moving beyond the storage area, Tamisha walked us through the rest of the enormous building. Large, spacious, white with high ceilings and remarkable architecture, the lobby is the perfect spot for unwinding after a game of tennis. The lobby looks out at the courts and the swaying palms. With the blue sky overhead, and green grass all around, it is a refreshing view. Next up on the tour? The locker rooms are also quite comfortable and large. 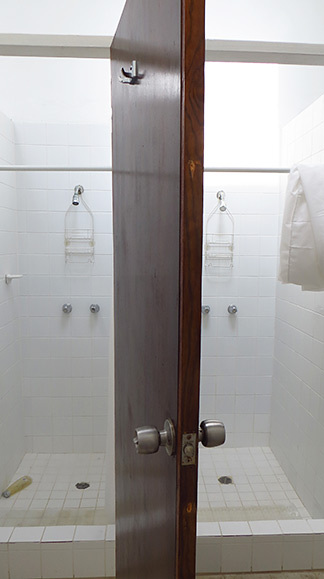 Each locker room, for ladies and gentlemen, have private showers. They are locked off by wooden doors. Note: You will need these showers. 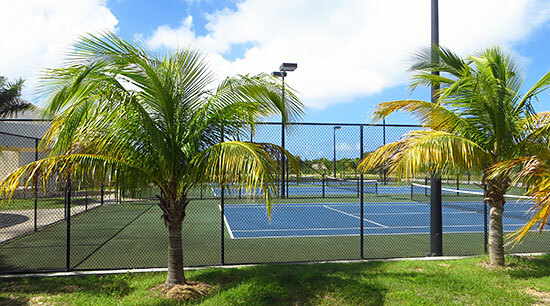 The glaring sun gets hot here in Anguilla when you're on the tennis court! 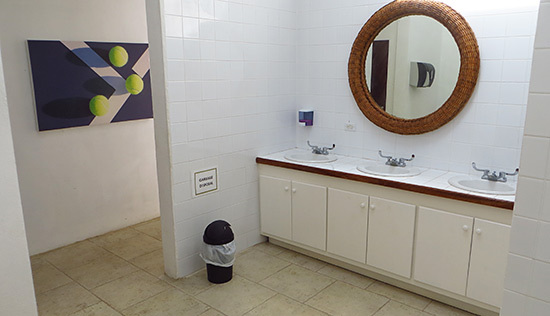 In the same area, there is an over-sized powder-room type area, and there are toilets. Everything is nicely kept, very clean and well maintained. The men's room lays out exactly the same as the women's. This space is open and breezy, with curved architecture and beams overhead, white washed and concrete. Surrounded by palms, it is aptly named the Palm Court. It's a delightful use of space! 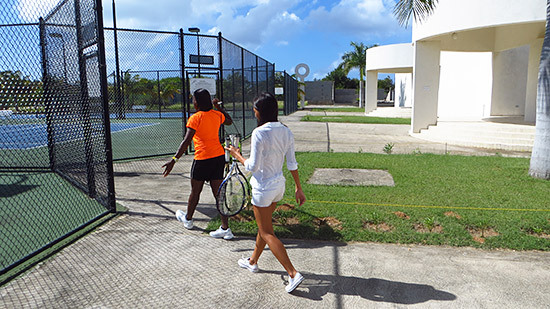 As we took it all in, Tamisha pointed out some of her favorite parts of the Tennis Academy. Namely, the white structures that surround the building. They make quite a nice touch, as they are sort of an abstract interpretation of tennis rackets (see photo below)! As we walked through, that sweet signature Anguillian aroma surrounded us. Open to the blue, blue sky, not a rain cloud in sight, it's moments like these that make you realize (if you haven't already!) that Anguilla is so idyllic. 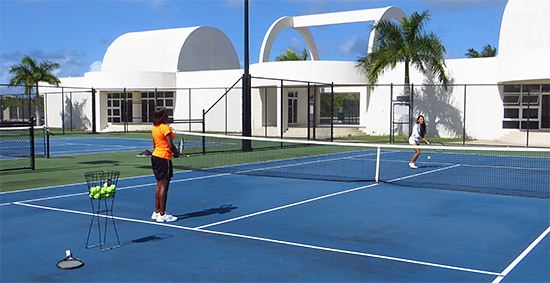 Anguilla's climate is truly well suited for tennis! 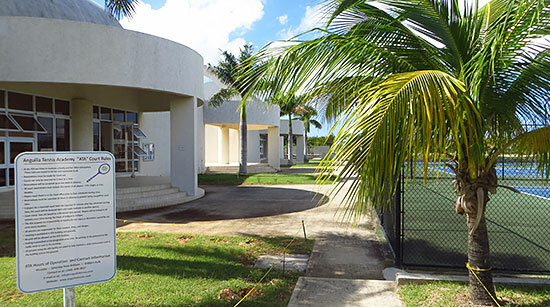 Seeing this building, and knowing what the Anguilla Tennis Academy was when it was established in 1996, really blows you away. This building was completed in 2008. ... And, there are still renovations to come (including a whole backyard stadium!). Prior to breaking ground, or even drawing up plans, Mitch held tennis camps at the tennis courts in James Ronald Webster's Park and around the island. As the Academy grew, they expanded to also manage tennis programs at the island's top resorts, including those of CuisinArt and Viceroy. It's truly amazing to see how far Mitch's vision has come! This facility is really the visualization of a vision, dedication and hard, hard work. 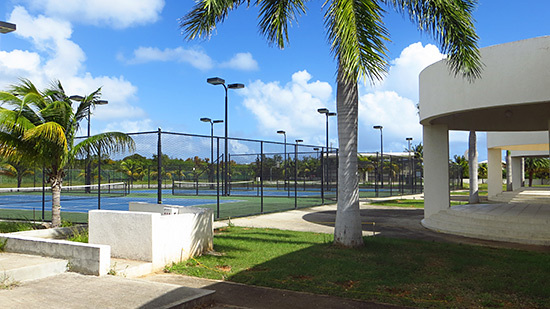 Kept in pristine condition, with palms planted throughout, each of their tennis courts are beautiful. And, they are usually booked up, too. The Academy requires reservations for use of the courts. Courts can be used for 1 hour at a time. They require that you cancel at least 24 hours in advance, if you can't make it. Today's mission? Hit a ball. I have not played tennis since sometime before 2000, and I was never good at it. So, Tamisha had her work cut out for her! "Not to worry," Tamisha started, "you will get the hang of it quickly." She explained the different techniques, how to hit the ball "front hand" and "back hand," and how to line up my body to anticipate the ball. The back hand technique was quite different. With Tamisha's instruction to hold the racket in two hands, it became easy fast. I was amazed at how well that technique worked! After hitting a few balls, we tried to have a little match back and forth. With so much experience under her belt, I was not keeping up at all. But, when I did bounce a ball back to her, it certainly felt rewarding. Watching me hit a few balls with Tamisha, my Dad impatiently said, "my turn!" Far better than me, he made a much worthier partner, lobbing the ball back and forth. I watched, jealous, not able to do this kind of sport... yet. Sweaty and hot, it was time to call it a day. 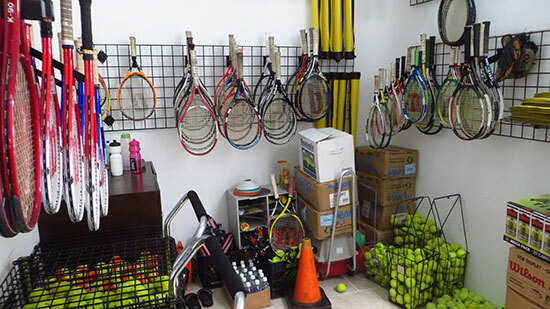 So, what do they offer at the Anguilla Tennis Academy?